Cool nights are a timely reminder for homeowners who have yet to prepare for the frigid temperatures and massive snowfall totals that are always a possibility in many regions of the country. Gutter Helmet® suggests you begin by having a professional clean out your gutters and downspouts, and install rain gutter covers to prevent further accumulation of leaves and debris. A clear gutter system ensures that rain and snowmelt do not cause damage to any areas on or around your home. 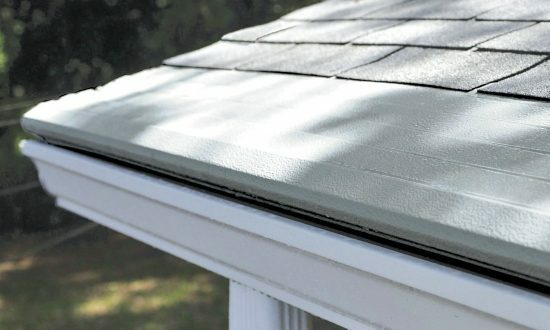 Gutter Helmet® has been specially engineered to channel water without allowing buildup and saves the expense of gutter maintenance and repairs. In addition to gutter care, there are other steps that will maximize the efficiency of your home this winter and protect it from damage. Have an HVAC professional clean and tune up your furnace. This helps your furnace run more efficiently and use less energy during the winter. To reduce ice dams, have a roofing professional inspect your attic or crawl space to be sure there is an adequate amount of insulation and ventilation. Warm indoor air that escapes into the attic can melt snow on a roof and lead to ice damming. Check each window to be sure it is completely closed and securely locked. Fill in gaps around the window frames with caulk. Caulk gaps around pipes, cables and wires that go into your home. Insulate exposed pipes around the exterior and pipes in crawl spaces that do not have adequate insulation. Turn off the water supply to all outdoor faucets and sprinkler systems. Drain the pipes, and disconnect and store garden hoses. Trim back dead and damaged tree limbs that could be broken by wind, snow and ice. This is especially important for trees near your home. Learn more about how Gutter Helmet® gutter guard and Helmet Heat® gutter heating systems can protect your home year-round.